A few weeks ago, Ford America announced that it is phrasing out almost all of its cars, and is focusing instead on its trucks and SUV. 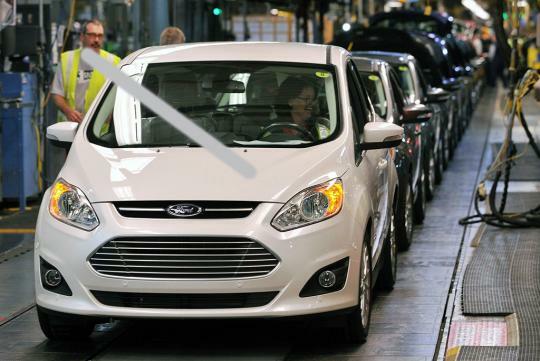 Fast forward to the present, Automotive News has reported that Ford has ceased production of the Focus and C-Max at its factory in Michigan last Friday. The last Focus variant to leave the line was a sedan while a C-Max hybrid was the last to roll off the assembly line. In line with its belief that normal sedans and hatchbacks aren't well-received in United States, the surviving Focus variant that will be on sale will be a crossover model, the Focus Active. The car will be imported from China. Joining the Focus Active will be the Mustang that will be the only conventional passenger car that Ford will sell in the United States. The rest will all be vans, crossovers, SUVs, and pickup trucks.